Today, I'm praying for all of you. May the Lord bless you and shower you with his abundant love and mercy. Today, I'm praying that our Supreme Court upholds the sanctity of marriage--a holy union established by God between a man and a woman. May the Lord bless all married couples and draw them closer together as they draw closer to Him. Barbara Vey's Reader Appreciation Luncheon 2015! Anyone who knows Barbara Vey knows that she hosts wonderful events. This weekend was the Fourth Annual Barbara Vey Readers Appreciation Luncheon in Milwaukee, Wisconsin, and Barbara outdid herself to ensure everyone had the time of their lives! of Rizzoli and Isles fame. I flew in on Friday and roomed with fellow Love Inspired Suspense author and RITA finalist, Katy Lee. represented Love Inspired Books at the luncheon! We enjoyed dinner that night at The Packing Company, compliments of the WisRWA Chapter who treated the 61 authors to a yummy dinner. After the meal, we bused back to the hotel for a fun Q&A with readers. Tote bags decorated the chairs at my table. Saturday, the authors were in the ballroom early to set up their tables and get ready for the readers. Doors opened at 10:30 AM, and the readers scrambled to find their tables and connect with their favorite authors. I loved meeting and getting to know the delightful women who sat at my table. Author baskets were given away during lunch with even more raffle drawings after lunch. A book signing followed. Thanks, Barbara, for a wonderful event and a chance to get to know so many readers. Wishing you an abundant blessings! Colleen Brennan has one goal—take down her sister’s killer. 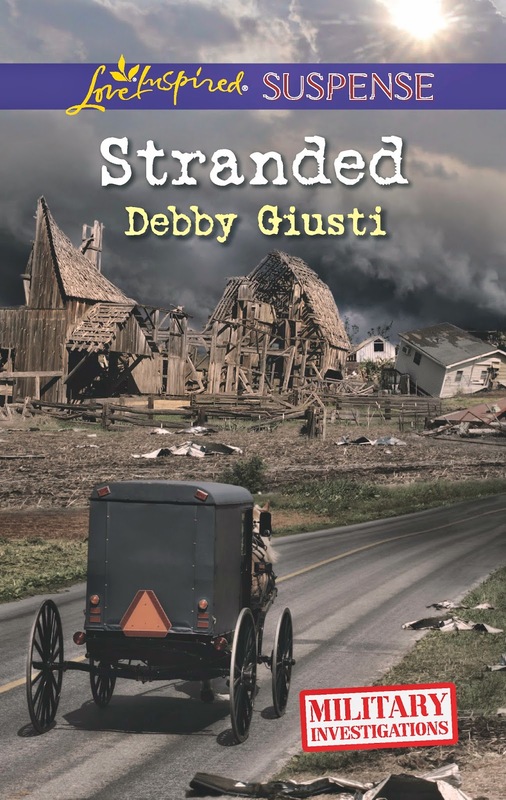 But chasing after evidence leaves her in the path of a tornado and stranded in an Amish community. With the killer nearby, Colleen must depend on the kindness of Special Agent Frank Gallagher. Although the army officer is recuperating from a battlefield injury, he wants to help the beautiful woman he rescued from the tornado’s fury. He can tell she’s hiding something important. But getting her to reveal her secrets may be his most dangerous mission ever. Order your copy in digital or print format: Amazon. Today, I'm praying...and asking you to join me in prayer...for Baltimore and all the troubled areas of our country. May Christ's light heal the brokenness in so many lives. Jesus said: "Amen, amen, I say to you, whoever does not enter a sheepfold through the gate but climbs over elsewhere is a thief and a robber. But whoever enters through the gate is the shepherd of the sheep. The gatekeeper opens it for him, and the sheep hear his voice, as he calls his own sheep by name and leads them out. When he has driven out all his own, he walks ahead of them, and the sheep follow him, because they recognize his voice. 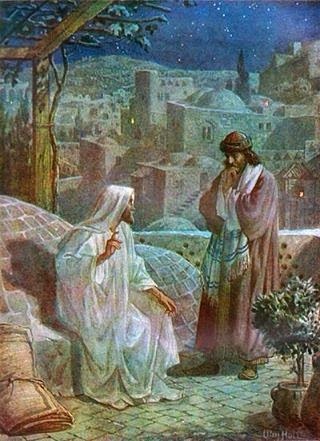 But they will not follow a stranger; they will run away from him, because they do not recognize the voice of strangers.” Although Jesus used this figure of speech, they did not realize what he was trying to tell them.So Jesus said again, “Amen, amen, I say to you, I am the gate for the sheep. All who came before me are thieves and robbers, but the sheep did not listen to them. I am the gate. Whoever enters through me will be saved, and will come in and go out and find pasture. A thief comes only to steal and slaughter and destroy; I came so that they might have life and have it more abundantly." Today, I'm praying for the Cross My Heart Prayer Team. May the work of our hands bear good fruit! Today, I'm praying for my readers. May God bless all of you and keep you in His care! Today, I'm praying for all those attending Barbara Vey's Reader Appreciation Luncheon. 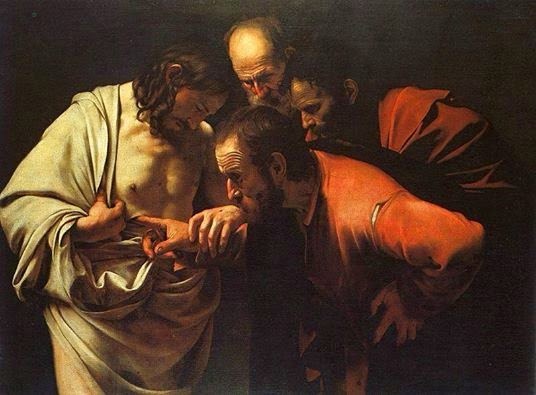 The Jews quarreled among themselves, saying, “How can this man give us his flesh to eat?” Jesus said to them, “Amen, amen, I say to you, unless you eat the flesh of the Son of Man and drink his blood, you do not have life within you. Whoever eats my flesh and drinks my blood has eternal life, and I will raise him on the last day. For my flesh is true food, and my blood is true drink. Whoever eats my flesh and drinks my blood remains in me and I in him. Just as the living Father sent me and I have life because of the Father, so also the one who feeds on me will have life because of me. This is the bread that came down from heaven. Unlike your ancestors who ate and still died, whoever eats this bread will live forever.” These things he said while teaching in the synagogue in Capernaum. Today, I'm praying for and asking for prayers for travelers as I fly to Milwaukee! Join me in praying for all those trying to find their way in life...the young, the lonely, the aged, the lost. Dear Cross My Heart Prayer Team, please pray for me as I'm traveling this weekend to Barbara Vey's Reader Appreciation Luncheon. I'm so grateful for all those who will be sitting at my table and ask the Lord to bless them abundantly. I'm also praying for all the new friends I will meet at this event and for all my wonderful readers, whose support means so much to me! Join me in praying for the other members of the Cross My Heart Prayer Team. May the work of our hands bear good fruit. As always, I'm praying for our military heroes. Keep them safe, dear Lord. Praying for those persecuted for their faith, and for our country, that we will remain One Nation Under God! Please add your prayer requests so we can pray together for your special needs. 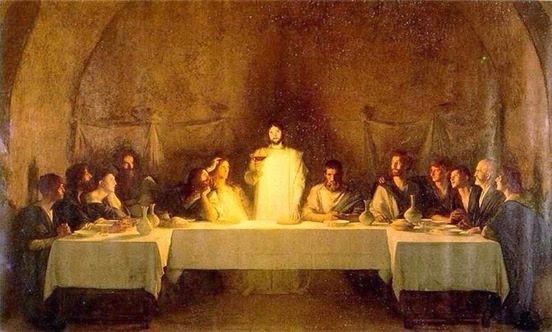 So they said to him, “Sir, give us this bread always.” Jesus said to them, “I am the bread of life; whoever comes to me will never hunger, and whoever believes in me will never thirst." Today, I'm praying for you, dear friend! May the Lord bless you abundantly. Today, I'm praying for family and friends and for all those who have touched my life throughout the years. I'm also asking for your prayers as I work to complete my next story. Thank you, dear Prayer Team, for your support and encouragement! 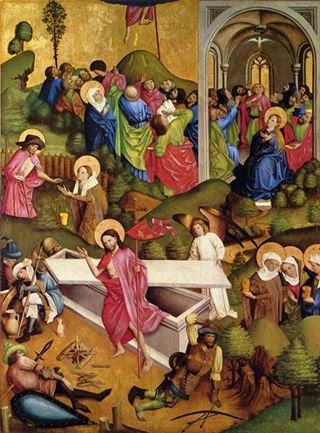 Third Sunday of Easter, April 19, 2015! While they were still speaking about this, he stood in their midst and said to them, “Peace be with you.” But they were startled and terrified and thought that they were seeing a ghost. Then he said to them, “Why are you troubled? And why do questions arise in your hearts? Look at my hands and my feet, that it is I myself. Touch me and see, because a ghost does not have flesh and bones as you can see I have.” And as he said this, he showed them his hands and his feet. While they were still incredulous for joy and were amazed, he asked them, “Have you anything here to eat?” They gave him a piece of baked fish; he took it and ate it in front of them. He said to them, “These are my words that I spoke to you while I was still with you, that everything written about me in the law of Moses and in the prophets and psalms must be fulfilled.” Then he opened their minds to understand the scriptures. And he said to them, “Thus it is written that the Messiah would suffer and rise from the dead on the third day and that repentance, for the forgiveness of sins, would be preached in his name to all the nations, beginning from Jerusalem. You are witnesses of these things." Today, I'm praying for those in need. When it was evening, his disciples went down to the sea, embarked in a boat, and went across the sea to Capernaum. It had already grown dark, and Jesus had not yet come to them. The sea was stirred up because a strong wind was blowing. 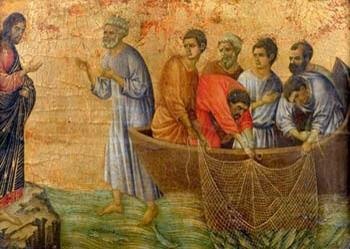 When they had rowed about three or four miles, they saw Jesus walking on the sea and coming near the boat, and they began to be afraid. But he said to them, “It is I. 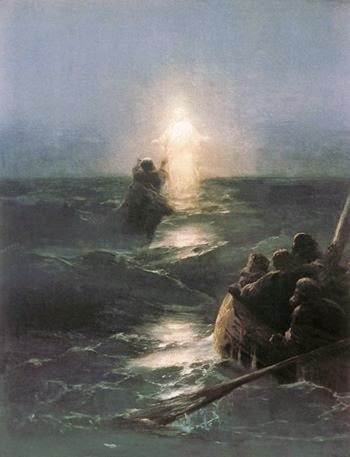 Do not be afraid.” They wanted to take him into the boat, but the boat immediately arrived at the shore to which they were heading. Today, I'm praying for those whose faith is tested...may they remain strong and sure of their convictions. Jesus went across the Sea of Galilee. A large crowd followed him, because they saw the signs he was performing on the sick. 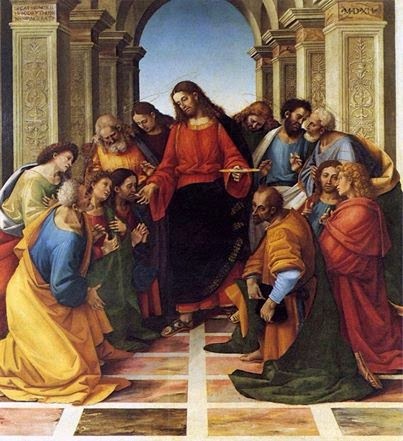 Jesus went up on the mountain, and there he sat down with his disciples. The Jewish feast of Passover was near. 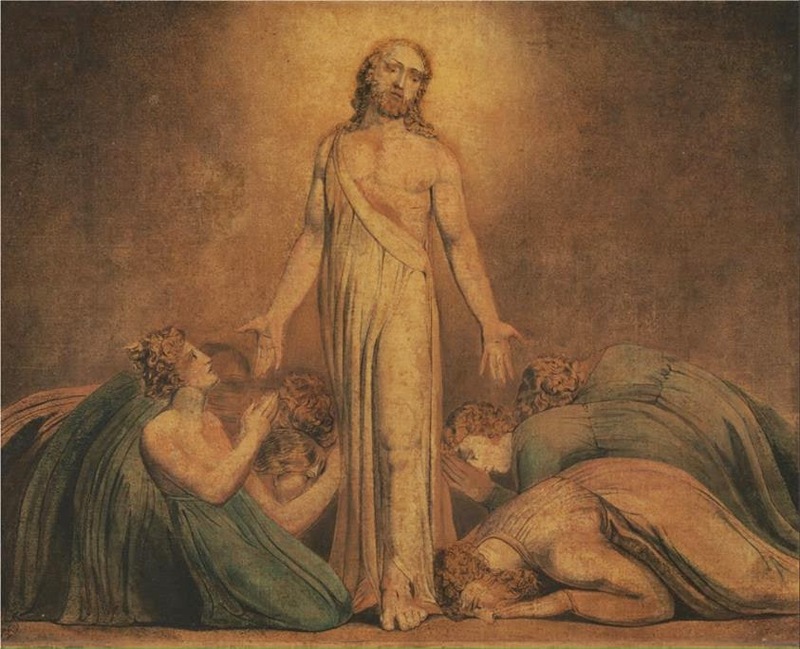 When Jesus raised his eyes and saw that a large crowd was coming to him, he said to Philip, “Where can we buy enough food for them to eat?” He said this to test him, because he himself knew what he was going to do. Philip answered him, “Two hundred days’ wages worth of food would not be enough for each of them to have a little. 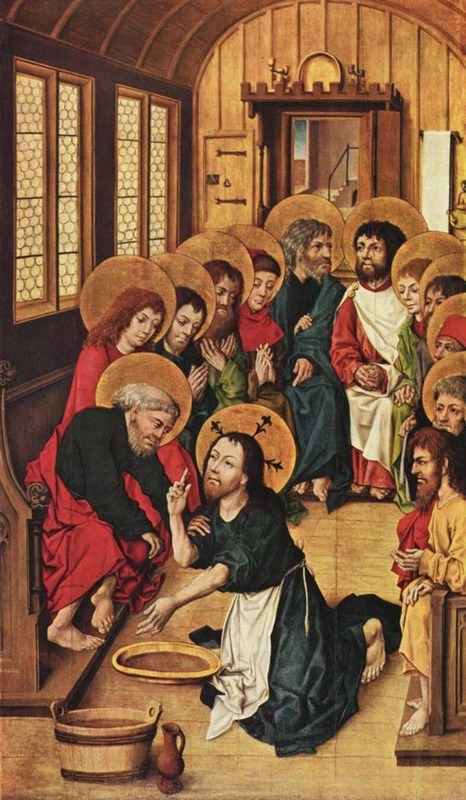 "One of his disciples, Andrew, the brother of Simon Peter, said to him, "There is a boy here who has five barley loaves and two fish; but what good are these for so many?” Jesus said, “Have the people recline.” Now there was a great deal of grass in that place. So the men reclined, about five thousand in number. Then Jesus took the loaves, gave thanks, and distributed them to those who were reclining, and also as much of the fish as they wanted. 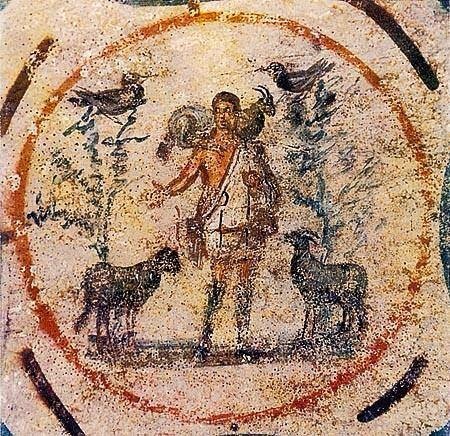 When they had had their fill, he said to his disciples, “Gather the fragments left over, so that nothing will be wasted.” So they collected them, and filled twelve wicker baskets with fragments from the five barley loaves that had been more than they could eat. 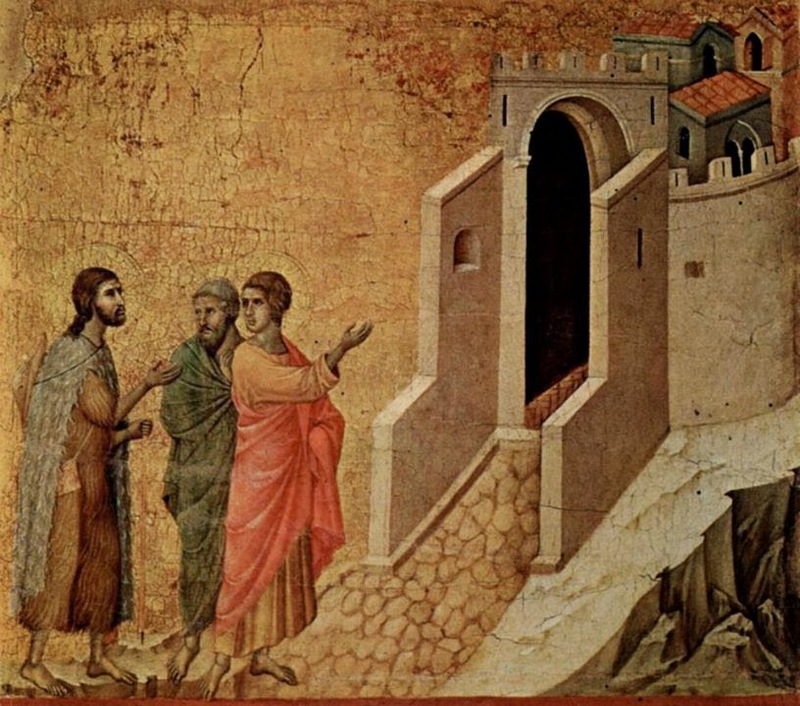 When the people saw the sign he had done, they said, “This is truly the Prophet, the one who is to come into the world.” Since Jesus knew that they were going to come and carry him off to make him king, he withdrew again to the mountain alone. Today, I'm praying for all those who need healing and for all those who question the truths of our faith revealed by Jesus Christ. The one who comes from above is above all. The one who is of the earth is earthly and speaks of earthly things. But the one who comes from heaven [is above all]. He testifies to what he has seen and heard, but no one accepts his testimony. Whoever does accept his testimony certifies that God is trustworthy. For the one whom God sent speaks the words of God. He does not ration his gift of the Spirit. The Father loves the Son and has given everything over to him. Whoever believes in the Son has eternal life, but whoever disobeys the Son will not see life, but the wrath of God remains upon him. 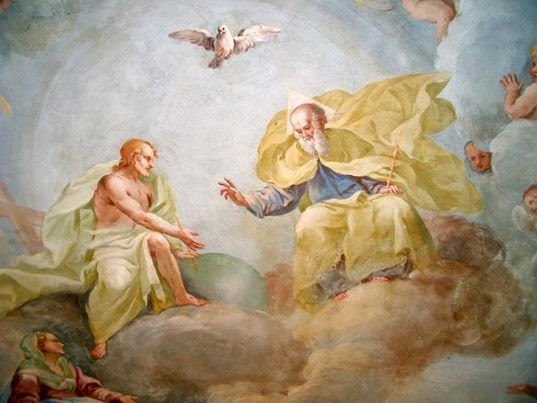 Sacred Art: Holy Trinity fresco, Luca Rossetti da Orta, 1738-9, Saint Gaudenzio Church, Ivrea. Today, I'm praying for all the members of the Cross My Heart Prayer Team! May the work of our hands bear good fruit. God so loved the world that he gave his only Son, so that everyone who believes in him might not perish but might have eternal life. For God did not send his Son into the world to condemn the world, but that the world might be saved through him. Whoever believes in him will not be condemned, but whoever does not believe has already been condemned, because he has not believed in the name of the only Son of God. And this is the verdict, that the light came into the world, but people preferred darkness to light, because their works were evil. For everyone who does wicked things hates the light and does not come toward the light, so that his works might not be exposed. But whoever lives the truth comes to the light, so that his works may be clearly seen as done in God. Today, I'm praying for all those trapped in darkness...for the oppressed, the abused, the impoverished, the dejected and lonely, the elderly who have no one to care for them and the persecuted. 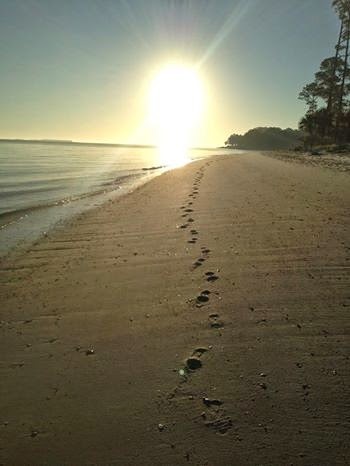 Direct their steps, O Lord, so they can leave the darkness and walk in your light. Today, I'm praying for all my readers. Your support means so much to me. May God bless you abundantly. Today, I'm praying for all those who have asked for prayer and especially for Frank, that the doctors will be able to find the cause for his debilitation and pain. Now Jesus did many other signs in the presence of his disciples that are not written in this book. But these are written that you may come to believe that Jesus is the Messiah, the Son of God, and that through this belief you may have life in his name. Today, I'm praying for those who have closed their hearts to God's abundant mercy. Dear Lord, remove any barriers that prevent us from receiving all that you shower upon us each day. I'm also praying for all those unjustly imprisoned and for those persecuted for their faith. Please leave any prayer requests you have so we can pray with you for your special needs. 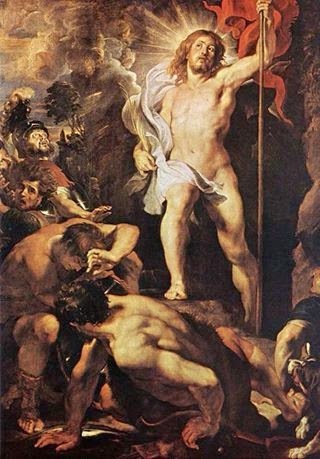 When he had risen, early on the first day of the week, he appeared first to Mary Magdalene, out of whom he had driven seven demons. She went and told his companions who were mourning and weeping. When they heard that he was alive and had been seen by her, they did not believe. But later, as the eleven were at table, he appeared to them and rebuked them for their unbelief and hardness of heart because they had not believed those who saw him after he had been raised. 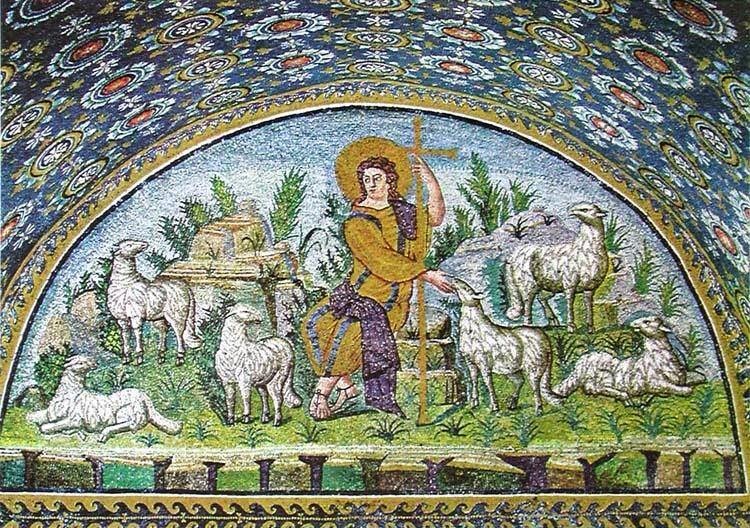 He said to them, “Go into the whole world and proclaim the gospel to every creature." 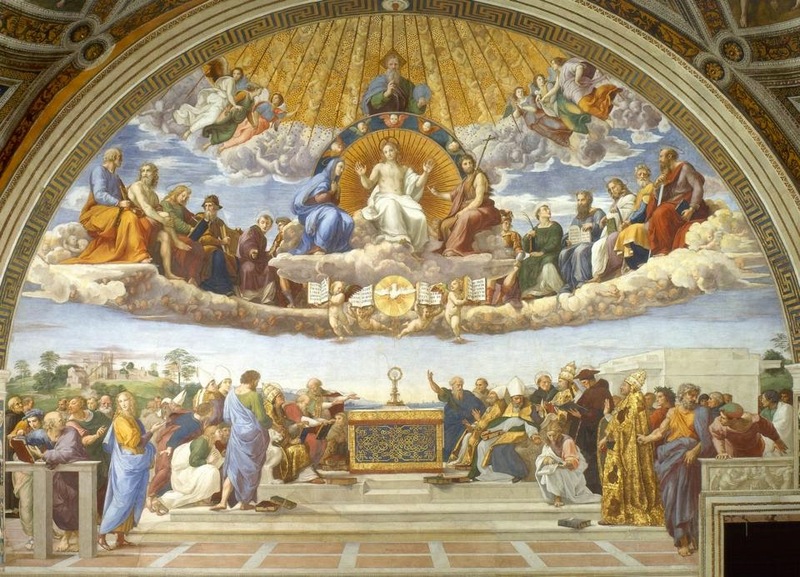 Clockwise from bottom: Resurrection, Noli me tangere, Ascension,a Pentecost. Today, I'm praying for all those who have lost the will to live because of physical or mental anguish. Please join me in praying for Nancy and Nora as well. Thank you, dear Prayer Team! Today, I'm praying we hear Christ's voice as he tells us where to fish. While they were still speaking about this, he stood in their midst and said to them, “Peace be with you.” But they were startled and terrified and thought that they were seeing a ghost. Then he said to them, “Why are you troubled? And why do questions arise in your hearts? Look at my hands and my feet, that it is I myself. Touch me and see, because a ghost does not have flesh and bones as you can see I have.” And as he said this, he showed them his hands and his feet. While they were still incredulous for joy and were amazed, he asked them, “Have you anything here to eat?” They gave him a piece of baked fish; he took it and ate it in front of them. 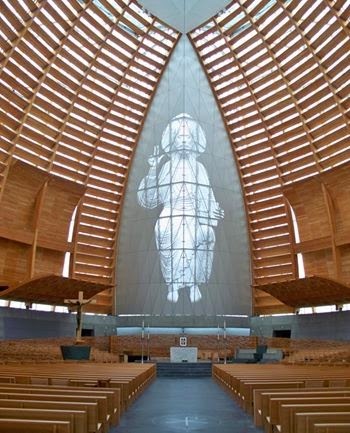 While they were still speaking about this, he stood in their midst and said to them, “Peace be with you.” But they were startled and terrified and thought that they were seeing a ghost. Then he said to them, “Why are you troubled? And why do questions arise in your hearts? Look at my hands and my feet, that it is I myself. Touch me and see, because a ghost does not have flesh and bones as you can see I have.” And as he said this, he showed them his hands and his feet. While they were still incredulous for joy and were amazed, he asked them, “Have you anything here to eat?” They gave him a piece of baked fish; he took it and ate it in front of them. He said to them, “These are my words that I spoke to you while I was still with you, that everything written about me in the law of Moses and in the prophets and psalms must be fulfilled.” Then he opened their minds to understand the scriptures. And he said to them, “Thus it is written that the Messiah would suffer and rise from the dead on the third day and that repentance, for the forgiveness of sins, would be preached in his name to all the nations, beginning from Jerusalem. You are witnesses of these things." Today, I'm praying for all those persecuted for their faith. Then beginning with Moses and all the prophets, he interpreted to them what referred to him in all the scriptures. As they approached the village to which they were going, he gave the impression that he was going on farther. But they urged him, “Stay with us, for it is nearly evening and the day is almost over.” So he went in to stay with them. 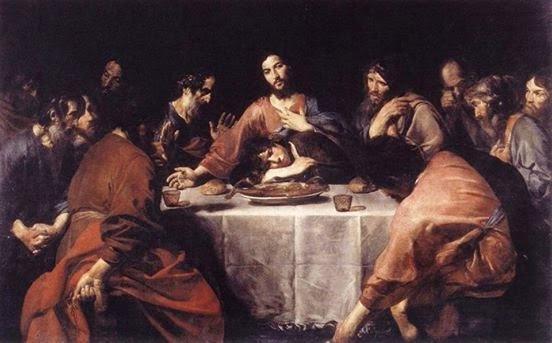 And it happened that, while he was with them at table, he took bread, said the blessing, broke it, and gave it to them. With that their eyes were opened and they recognized him, but he vanished from their sight. Then they said to each other, “Were not our hearts burning within us while he spoke to us on the way and opened the scriptures to us?” So they set out at once and returned to Jerusalem where they found gathered together the eleven and those with them who were saying, “The Lord has truly been raised and has appeared to Simon!” Then the two recounted what had taken place on the way and how he was made known to them in the breaking of the bread. Today I'm praying for all my readers and especially for those who have lost their faith in God. But Mary stayed outside the tomb weeping. 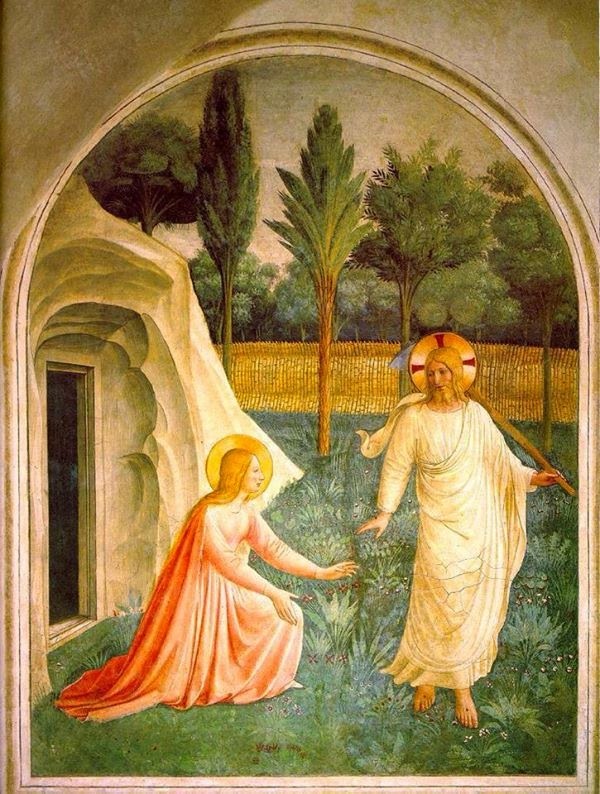 And as she wept, she bent over into the tomb and saw two angels in white sitting there, one at the head and one at the feet where the body of Jesus had been. And they said to her, “Woman, why are you weeping?” She said to them, “They have taken my Lord, and I don’t know where they laid him.”When she had said this, she turned around and saw Jesus there, but did not know it was Jesus. Jesus said to her, “Woman, why are you weeping? 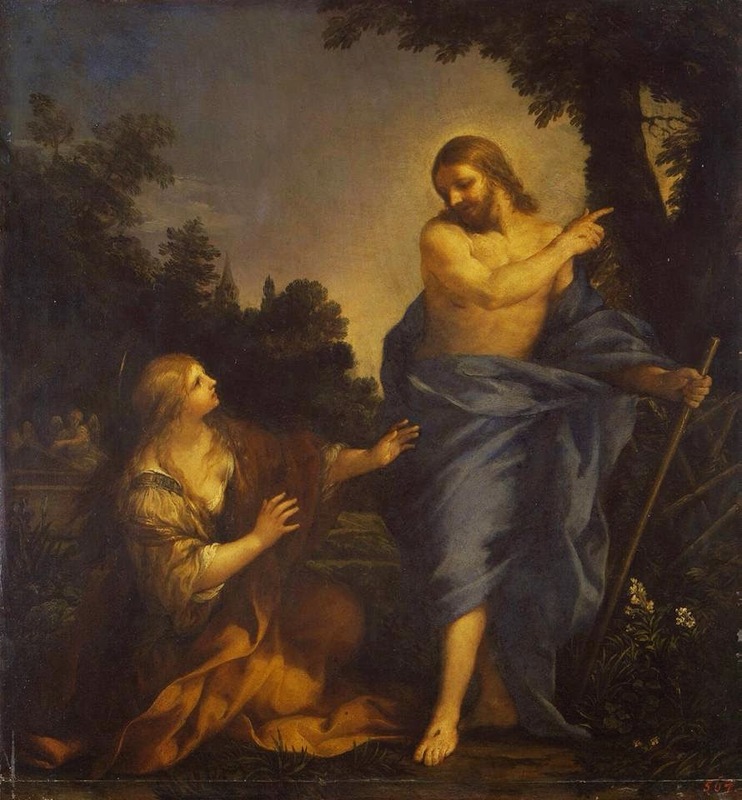 Whom are you looking for?” She thought it was the gardener and said to him, “Sir, if you carried him away, tell me where you laid him, and I will take him.” Jesus said to her, “Mary!” She turned and said to him in Hebrew, “Rabbouni,”which means Teacher. 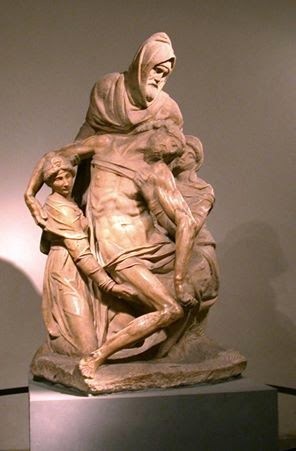 Jesus said to her, “Stop holding on to me,for I have not yet ascended to the Father. 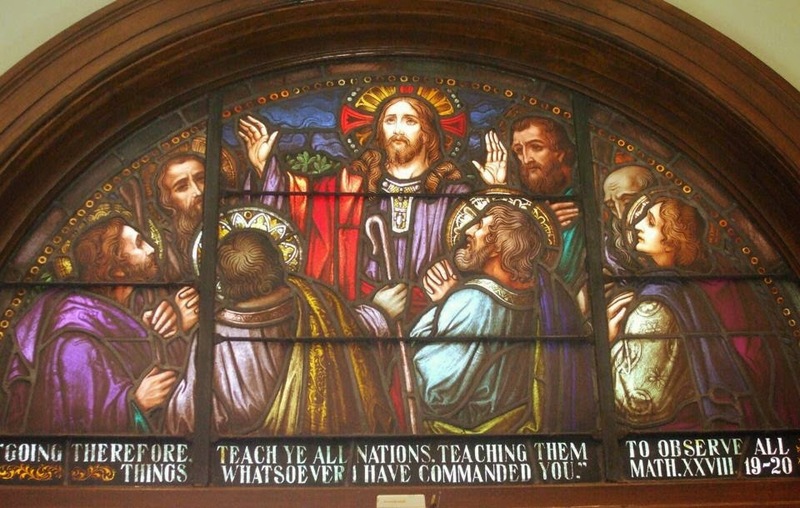 But go to my brothers and tell them, ‘I am going to my Father and your Father, to my God and your God.’” Mary of Magdala went and announced to the disciples, “I have seen the Lord,” and what he told her. Praying for all who mourn, especially families of our fallen military heroes! Happy Easter, dear friends. Thanking God for each of you! 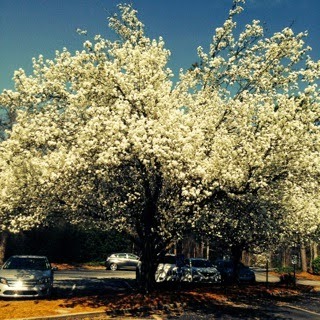 May The Lord bless you abundantly today and throughout the Easter season. Alleluia! Alleluia! Alleluia!